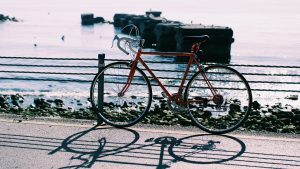 Harwich Port, MA (July 3, 2018) – A bicyclist in Harwich Port, Massachusetts was struck by a car on Monday while riding along Route 28 and Sisson Road. The collision occurred around 5:00 pm. Harwich police report that the woman is from Russia and is in town working on the Cape for the summer season. Police did not release the woman’s name or the name of the driver involved in the crash. Paramedics arrived on scene. The woman, who was visibly shaken from the crash, was treated and later transported to Cape Cod Hospital for additional evaluation. Her condition is not known at this time. Police have not said how the accident occurred or whether they intend to charge the driver for the crash. The crash investigation is still ongoing at the Harwich Police Department. Now that we are in the summer months, there will be more bicyclists out and about. This is especially true along the coast where it is common to see bicyclists anyway. With an increase in bicyclists, it is important for both motorists and bicyclists to observe all traffic laws and safety precautions in order to prevent as many bicycle accidents as possible. Bicycle accidents happen when you are least expecting them to occur. In these cases, you are likely to have many unanswered questions about what happens next. When you are facing this situation, you must turn to an experienced personal injury attorney in order to ensure that your legal rights are protected following a bicycle accident.